The new HIT Qingrui Scholarship is on offer for all international students to study in China. Non-Chinese nationals are eligible to apply for this scholarship programme. In order to encourage and attract more excellent International students to study at HIT, develop English-medium courses, Harbin Institute of Technology and Daqing Zhongyou Qingrui Petroleum Technology Co. Ltd. co-founded HIT-Qingrui Scholarship for International Students (hereinafter referred to as Qingrui Scholarship). 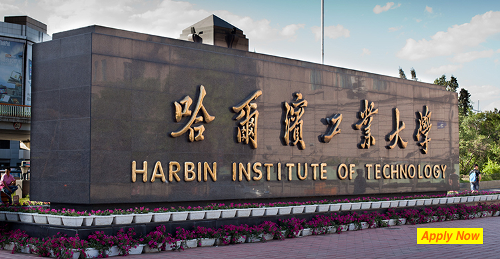 The Harbin Institute of Technology is a research university in China and a member of China’s elite C9 League. HIT has consistently produced distinct graduates set apart by our values of academic excellence and intercultural exchange. Course Level: Scholarship is available to pursue bachelor as well as master’s degree programme. Third-class Scholarship: exempt from tuition fee. The scholarship cannot be combined with any other scholarship. Nationality: Non-Chinese nationals are eligible to apply for this scholarship programme. 1. Entrance Requirements: Applicants must have their previous degree. 2. English language Requirements: Applicants whose first language is not English are usually required to provide evidence of proficiency in English at the higher level required by the University. High school graduation certificate (notarized photocopy). If applicants are high school students, they should provide a pre-graduation certificate. Highest Diploma (notarized photocopy). If applicants are university students, they should provide a pre-graduation certificate. All the information about New HIT Qingrui Full Scholarship for all International Students has been delivered nicely; interested and talented students who are eager to pursue their Free Tuition/Scholarships/Study in China for Undergraduate, Bachelors, Postgraduate, Masters, PhD, Associate Degree and Other Degrees, can apply now.